I am covering two aspects with this post. Firstly my September Class is creating a wow card – a Fold and Twist Card. This card will get you lots of compliments as your recipient reveals their lovely card. 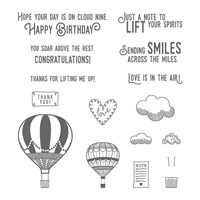 Secondly the card features the Stampin’Up! 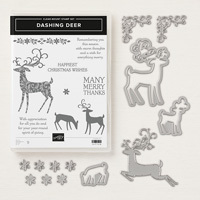 special offer Designer Series Paper – Dashing Along. This paper is only available in September when you place a product order for $400 Aust (after Bonus Coupons have been applied). Get together with some friends and make a group order to reach the target amount and share the paper between you. Here is the card sample I have made to show off the papers as well as my class. Email me if you would like to make a booking. Class fee is $25 BYO own adhesives and trimmer. 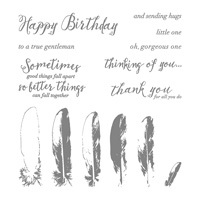 The sentiments for this card from the new Holiday catalogue stamp set – Timeless Tidings 148939 Love this stamp set! You can view it if you click on my Shop Now button. In case you weren’t aware the new 2018 Holiday Catalogue is now available to order from. Don’t have a copy and live in Australia? Then email me with your address and I will send you one. Or view online. Posted in Card technique, Cards, Classes	- Tagged classes, Fold and Twist Card, Janine Rawlins Stampin'Up! demonstrator, Stampin'Up! August Classes are in full swing and along with demonstrating the Black Ice Technique, my class attendees are also learning the Tarnished Foil technique. The various Stampin’Up! dynamic embossing folders deliver a wonderful effect for this technique. This particular card used the Woodlands embossing folder. We had a lot of fun creating this technique in class this morning and some gorgeous cards were created. I’ll post some more samples soon. For my August classes I am teaching tow techniques that give an amazing result to your cards. the first technique is Black Ice. I have so much fun creating my sample cards using this technique. Here is one of my samples. The other technique is Tarnished Foil. I’ll post a sample card in the next couple of days. Time to share my class creations for my upcoming New Annual Catalogue Product class. In this class we will be creating items using a range of new products from the new 2018-2019 Annual Catalogue. So stamps, dies, papers plus if you have wondered what makes the new Stamparatus the bees knees of placement tools, we will be creating with this as well. I am sure it will be added high up on your wish list once you try one out! Stampin’Up! have done a prerelease of one of the new upcoming catalogue suites – the Share What You Love Suite. This gorgeous range of products includes stamp sets, papers, embellishments, ribbon, embossing folder and cardstock. There is a range of bundles available to purchase to suit Beginner card makers, Intermediate card makers or those of us who are avidly serious about papercrafting and just “Gotta Have it All” bundle. Each bundle also contains free product for you! Take a look at the bundles here. 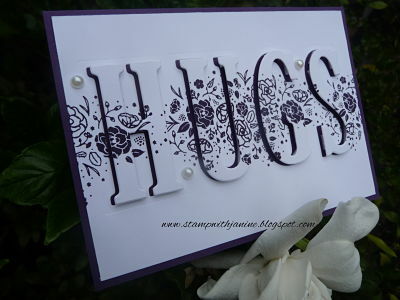 In my May Class we will be creating cards using the Share What You Love bundle. We will make these three cards as a quick and easy stamp-a-stack. These are just a small part of what you will create in this fun and exciting class! 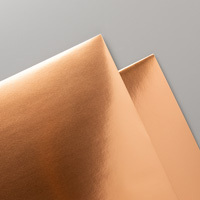 You will love these gorgeous Share What you Love Designer Series Papers with their pearlescent embossing. Pearl features heavily in this suite to coincide with Stampin’Up!’s 30th Anniversary which is a Pearl Anniversary! Would you like to come along to my class? Contact me jannicbigpond.com for further details. Classes are held in eastern suburb of Melbourne. My April classes are featuring Acetate Window cards. I am having a wonderful time going through my catalogues to see which stamp sets are suitable to use for this technique. The Beautiful You stamp set just had to be used to create one of my sample cards. Also an excellent note to remind myself that every stamp set we purchase should have at least five occasions or technique uses that it can be used for in order to make a set a worthwhile purchase. We do get so caught up in using new stamp sets from newer catalogues that we forget about what sets we already have from the current Annual Catalogue. Speaking of the Annual Catalogue, good news this stamp set will be carrying over into the upcoming 2018-2019 Annual Catalogue. So here is one of my sample cards. This is the Night of Navy version. Here is the Rich Razzleberry version. Both are lovely I think! 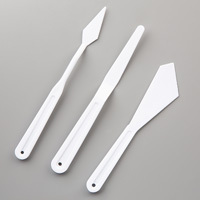 Class fee – $30 if using my adhesives and tools – $25 if you have your own kit and trimmer. Classes are held in Mt Waverley. Anytime you see something on my blog you like and want more information about it, please click on My Online Store tab, where you can view products and find out more about them. This month my Technique class will feature creating cards with an acetate window. You will achieve a lovely card with a unique see through window to highlight your greeting or chosen image. I have loads of ideas for cards to create as samples for this class! Here is my first card sample. The stamps, dies and papers in the Petal Passion Suite work beautifully to create this card. I used Stampin’Blends to colour the stamped image. For my March classes I am going to share with you the fun you can have creating card designs using Stampin’Up! embossing paste and stencils. Here are a couple of my samples for the class. 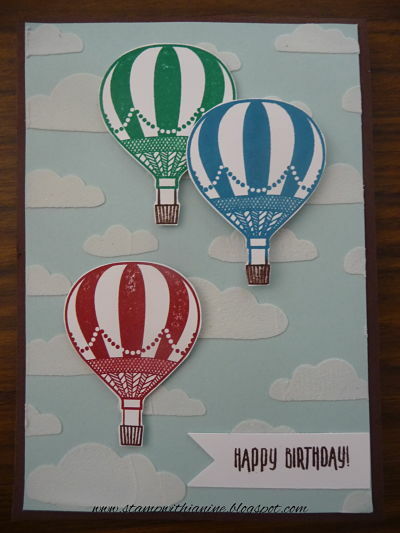 The first card is using embossing paste as it comes from the tub and applying using Stampin’Up! stencils. The next card has had the embossing paste tinted with colour and you will learn this technique in the class. Think you would like to learn how to create cards with a media background? 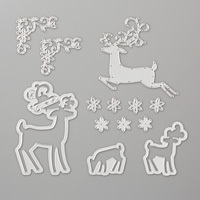 We will also add Dazzling Diamonds and embossing powder to the embossing paste to create some terrific cards. Interested? Class fee is $30 and includes your very own tub of Stampin’Up! 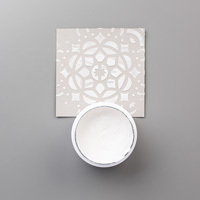 embossing paste to take home and keep on creating. As I have to order your paste before classes please book your place by Thursday March 22. Please bring your own kit of adhesives, scissors, tapes, dimensionals and paper trimmer to class. Getting my new blog site up and running is taking a bit longer than anticipated but it will happen soon! For now I will continue posting on my current site and this post is all about my February Classes. This month I am very excited to be teaching how to create an Eclipse Card. These cards became extremely popular at the end of last year after the solar eclipse happened in the northern hemisphere. I love how you can create a really personalised card using this technique. I know I am going to have a lot of fun creating my class samples for this class and sharing them with my class attendees. 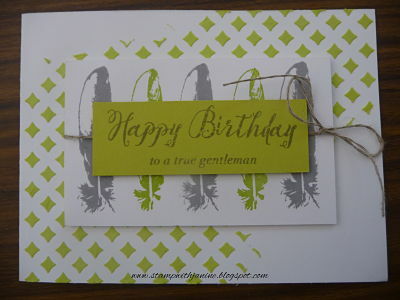 Here is one of my class samples using the Stampin’Up! stamp set Wood Words. Would you like to learn how to create this style of card? Can you think of an occasion when one of these cards would be perfect to give? Then book into my February classes. Classes are held in Mt Waverley and are limited to 8 attendees per class. I did not realise it was so long since my last post! My time has been taken up with work and preparing for Picture to Page Show which was on last weekend. Now that the show is over and done with I can focus on my October classes which are being held next week. Oh my it has been hectic here! To tie in with this months special from Stampin’Up!, which is buy three packs or stacks of selected Designer Series Paper and get the FOURTH ONE FREE, I decided to focus on our gorgeous papers this month. I wanted to make the papers the star of each card this month. As card makers we all love paper and often have to convince ourselves to use it. Well here are some great fun fold card designs you will want to add to your collection of card styles. You will really enjoy the cards we are going to create in this months class. Plus they are quick to create. A good class to attend if you are new to card making. Class fee is $20 and you will make 2 – 3 cards of each card style. Please bring a paper trimmer. Let’s have some fun making cards! 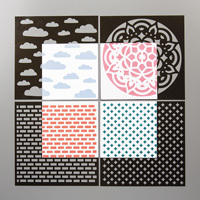 Posted in Classes, Designer series Paper, Stampin'Up! I’ve had a change to my rosters at work and so have found I have a day to run an extra one off class this month. These pretty gerbera flowers were very popular when we ran this class at the recent Paperific Expo and when I made them recently I had so much fun creating them that I wanted to share them with everyone! Class date will be Friday September 22 at 10am. Class fee $20. You will make seven flowers along with leaves and twirls all ready to make your own floral arrangement. These would make a lovely gift to give someone special. 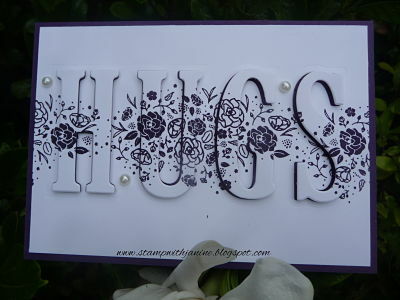 Posted in 3 D, Classes, Stampin'Up! This month in my classes we will be creating this very pretty style of card known as a Four Fold card. The card folds flat to fit a regular C6 envelope. This style of card is going to wow the receiver of your good wishes and have them amazed at your creative talent! Class fee is $20 and includes all materials and instruction sheet. Please bring a paper trimmer. In class you will make at least one possibly two cards depending on the detail added to your card. Sorry about the blurry photo I cropped it from a photo on my Facebook page. Hope to see you at my classes. Posted in Cards, Classes, Stampin'Up! I think this card is so cute! It is another sample card for my August card classes – Landscape Pop Out Swing Cards. I love how the Wood Textures background papers really add to the card. Class fee is $20 and includes instruction sheet and all materials. All you need to bring is a paper trimmer. Here are some of my sample cards for my August Card/Technique Classes. This month we will be making a style of pop out swing card in a landscape orientation. My first sample uses the Coffee Break Suite of products from Stampin’Up! My second sample utilises the Birthday Memories Suite. In class we will make a paper sample piece and then we will make two to three cards using this technique. The number you complete will depend on how much detail you put into your cards. If you like any of the products featured here you can see them in more detail in my online store if you click on the images below this post.